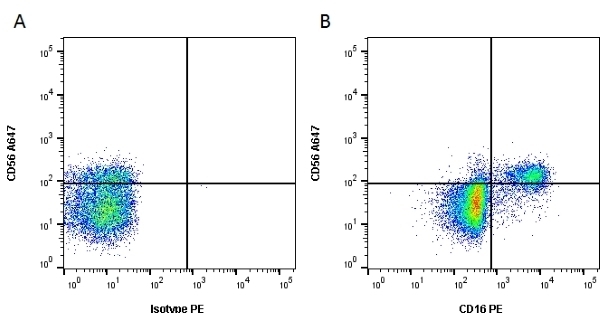 Mouse Anti Human CD16 antibody, clone 3G8 recognizes the human CD16 cell surface antigen also known as the FcR III receptor. CD16 is expressed by granulocytes and NK cells. Audran, R. et al. (2009) The synthetic Plasmodium falciparum circumsporozoite peptide PfCS102 as a malaria vaccine candidate: a randomized controlled phase I trial.